I sat in a chair earlier this week, chin down, arms folded across my lap, eyes blinking between my kneecaps and the points of my orange shoes, getting my first tattoo. At thirty-five. As a mother of four. I sat and thought of…nothing, really. The small cat-like scratches as the needle vibrated it’s way in and out of my skin, maybe? Dinner plans, perhaps? The curve of the needle as each moon was drawn, and I wondered, I think that’s Evaline, or I think that’s Asher. Because, I knew their placement, after weeks of staring at the collage I’d saved to my computer, lining each of our birthday moons up, like a row of celestial Haneys. I sat in the chair, and remembered nearly two decades ago, when I drove to the beach with my dearest cousins and stood in a florescent lit tattoo parlor, penniless and lingering over butterfly imagery on the wall, as they each got their first ink. If I’d gotten a tattoo then, at eighteen. I would have regretted it now, I’m 95% certain. Nearly two years ago, I sat in a cabin with our best of friends – a weekend away without children. We talked as though we were each still only who we wanted to be, and as though were not fully immersed in jobs, in parenting, in lives that makes us wear more hats, be something other than who we are in our core. We talked, honestly. And so, we talked about tattoos. What is meaningful enough to scrawl onto our skin, to etch into the bodies that will one day age and be displayed in funeral homes before succumbing to dust? Then, I mused aloud about doing my wrists, photography on one, writing on the other. If I’d gone out that night and gotten a tattoo, I would have regretted it. I’m 75% certain. One week ago, I stood outside a bowling alley with my parents, as we waited for my sister and her sons to arrive for Asher’s 6th birthday party. And I told them, Hey, by the way, I’m getting a tattoo. The response was, perhaps, as it should be, for anyone who is addressing their thirty-five year old daughter and mother of their grandchildren, about to get her first tattoo. It was: It’s permanent, you know. Honestly, I was just grateful they didn’t suggest a midlife crisis. Because, the reality was, the deposit was already in. And the design chosen was one that came at the end of long and careful thought. Decades of careful thought, actually. I considered my wrist ideas, photography and writing. But, always came back to the hitch – am I really just what I do? And so, I questioned – what doesn’t change? What is forever, but also, meaningful, to me? Upon my graduation from high school, my mother gave me a copy of Goodnight Moon, because I was her late night companion throughout childhood. My sister called me Moonie…I found a note addressing me as such, just the other day, with a moon sticker attached, smiling at me. My water broke at midnight on a Good Friday, when the moon was full. This quote, I love – She is like the moon, a part of her is always hidden. 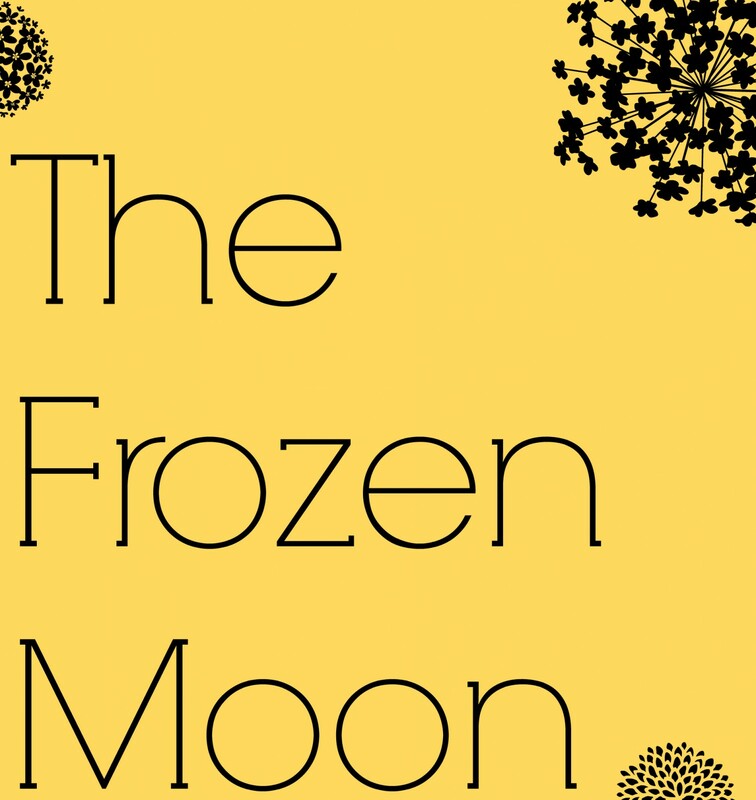 This blog – The Frozen Moon. It seemed obvious, so painfully obvious. Of course, the moon. It’s an always moving, but unchangeable constant. What else is an unchangeable? Me being a mother to these four incredible people. Vinnie being a father to these four incredible people. The six of us, inextricably linked, forever, and the phases of moon, as it was, on the days that we were each born. And so, I went with my (already tattooed and prepared to hold my hand) best friend, and took the plunge, on a Wednesday afternoon. I sat in a chair, like so many, many others do. I breathed in and out. I stared at my feet. I felt the needle vibrate, etching something new on this thirty-five year old body, and I only felt as rebellious as I ever did, giving birth for the first time – when I had the audacity to say, at a young twenty-five, I can do this – all of it. The labor, the recovery, the late nights and early mornings, the learning to walk, the teaching to read, I can shoulder this burden of responsibility to raise a child who does good, who is good, and who feels secure and loved. Sure. And, each moon since, I’ve only grown bolder. A beautiful tattoo, and the meaning behind it makes it even more so.